The NEF STEM Forum is back by popular demand. Already over a 100 colleges have taken part in these STEM Forums last year, and benefited from insights, expert advice and guidance on developing more productive, exciting and innovative STEM. This year’s programme has taken into account your feedback, as well as, contributions from the STEM industry advisory panel which has over 50 senior industrialists. 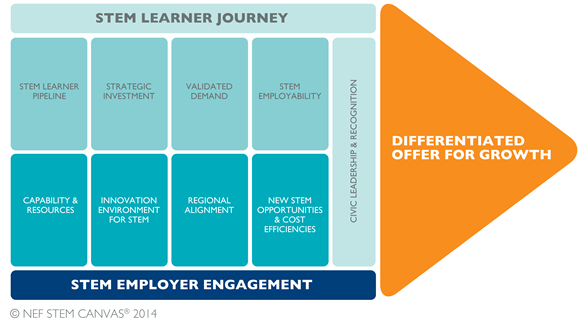 Our new STEM Programme inculcates the patterns, signals and trends reflective of STEM industries’ changing landscape, and provides you with the knowledge to navigate through that change. Don’t delay! This is your chance to invigorate STEM in your college. Limited numbers only. Once gone it’s gone! **Regrettably, due to space restrictions, no more than 2 delegates will be permitted to register from one college.